Triumph 2000 1963-69 - Autobook - Workshop Manual - Kenneth Ball. Hi, I’m interested in Triumph 2000 1963-69 - Autobook - Workshop Manual - Kenneth Ball.. Please contact me. Thanks! 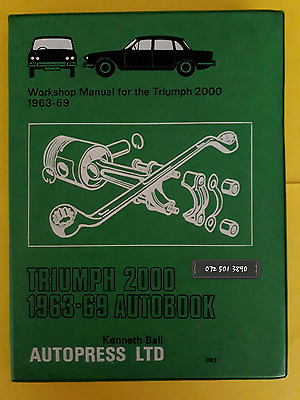 (BOOK) Triumph ******-69 - Autobook - Workshop Manual - Kenneth Ball. This book has been used not a new book, all pages in book, no torn pages. We have other Workshop Manuals.